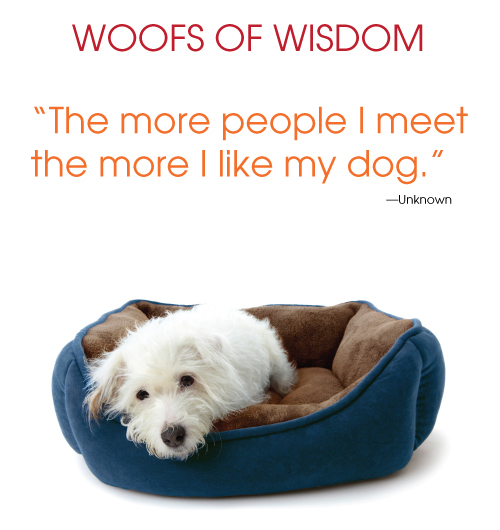 Introducing our new series of quotes about dogs. We’ll run a new witty bit about life with our four-legged friends roughly (ruffly) every week. This entry was posted on Thursday, April 19th, 2012 at 12:24 PM. It is filed under Blog. You can follow any responses to this entry through the RSS 2.0 feed.